Robust and resilient: Vehicle-accessible inverted roof. 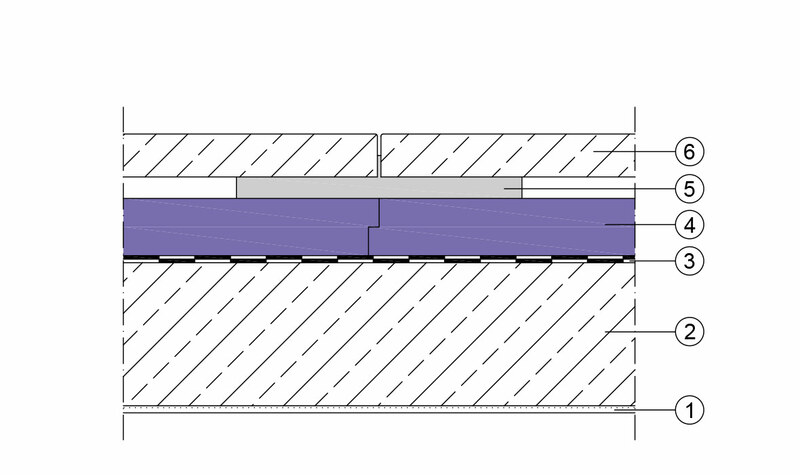 JACKODUR inverted roof: The rooftop parking solution. The vehicle-accessible inverted roof for extreme loads. 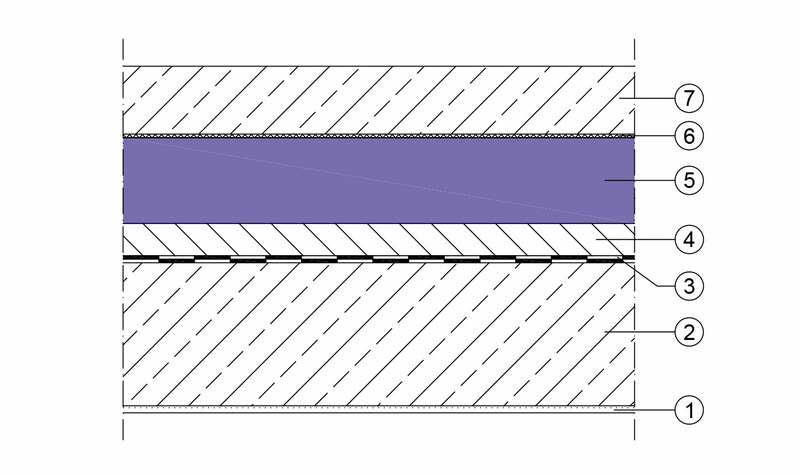 Where structural loadings allow and motor vehicle access is possible, the construction of a vehicle-accessible inverted roof is a viable option. 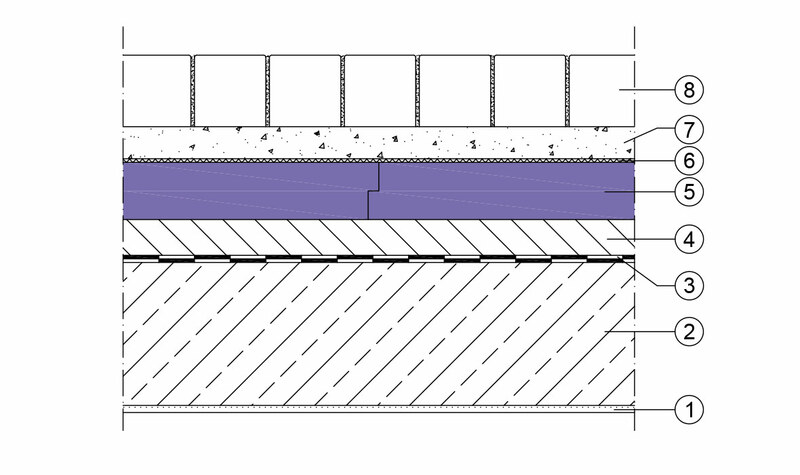 Along with the added benefit of creating extra parking, this configuration includes all the advantages of an inverted roof: The insulation is on top of the roof membrane, thereby providing a durable solution. 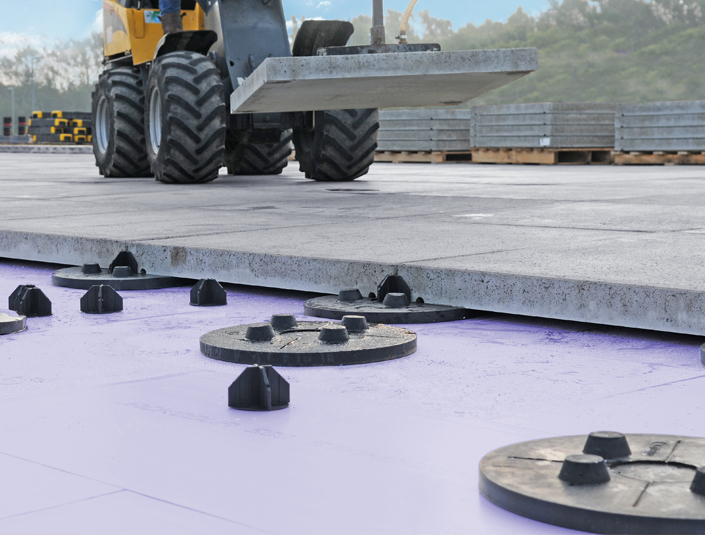 The most common arrangements for vehicle-accessible inverted roofs are made with interlocking paving slabs, in-situ cast concrete or stone slabs on paving support pads. It goes without saying that the thermal insulation boards used here must have extremely high compressive strength – as JACKODUR® XPS thermal insulation boards do, with compressive strengths of 500 or 700 kPa.